Microsoft last week added an auto-save feature to the core applications in Office for Mac 2016, matching what Windows users were given in August. AutoSave is available only to Office for Mac 2016 users who are also subscribers to Office 365. With the refresh to Office for Mac 2016 - which updated the version number to 16.9 - Word, Excel and PowerPoint now automatically save files opened from Microsoft's cloud-based storage services, including OneDrive, OneDrive for Business and SharePoint Online. Files are automatically saved to the cloud repository "every few seconds," Microsoft said in a support document, adding that the interval may vary "depending on what you are working on." The AutoSave widget displays at the top-left of the Word, Excel and PowerPoint windows when the file being edited is opened from one of the support online storage services. Locally-stored files, when opened, will show a dimmed widget indicating that AutoSave is not available. The same widget can be used to disable AutoSave for that specific file, or turn it back on for the same file later. 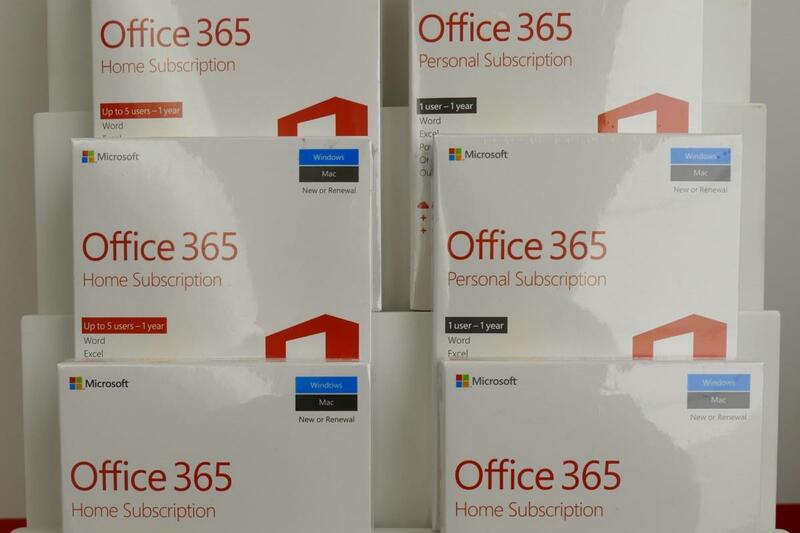 Microsoft added AutoSave to the same application trio of Windows' Office 365 ProPlus - the suite SKU (stock-keeping unit) bundled with the subscription - last year. Its appearance, as well as other features, on Office 2016 for Mac, was trumpeted by Erik Schwiebert, a principal software engineer on Microsoft's Apple team. In a Jan. 18 tweet, Schwiebert announced, "For the first time in over 20 years, Office is again built out of one codebase for all platforms (Windows, Mac, iOS, Android)!" Minutes later, he shot off a follow-up tweet, saying that a "massive code alignment under the hood" made possible such adds to the Mac suite. Although Office on Windows' AutoSave can be permanently disabled via registry hacks - Microsoft's instructions are available online - there is no similar workaround for the Mac applications. Other January enhancements to Office 2016 for Mac included real-time collaborative editing in all three applications, additional Excel charts, and a quick-start assistant in PowerPoint. 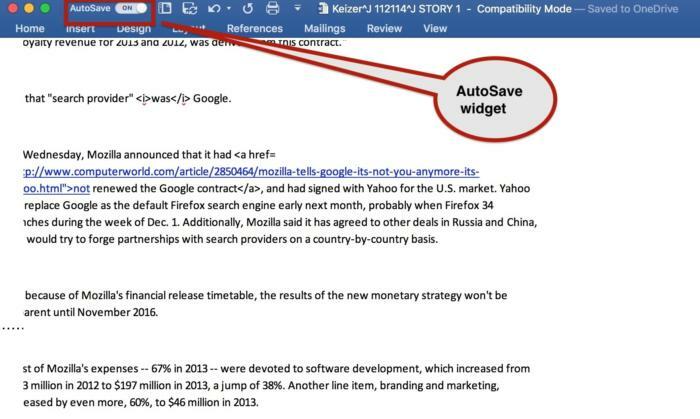 The AutoSave widget at the upper left appears only when the file is opened from a Microsoft cloud storage site, including OneDrive, OneDrive for Business, and SharePoint Online.